Not only is Gabe an outstanding and skilled professional, he is an intelligent, caring, educated, and delightful part of our lives. Thank you! He is always welcome and his outstanding commitment for quality customer service is so appreciated! Thank you! He is a treasure. Please give him our regards from Sandy Pyle and family. Juan is the best pest control person!!! I have been using Truly Nolan for 5 years now. They have been good about providing spot treatments in a timely manner when I've requested one. My service coordinator Adi Kuric is always courteous, professional, and respectful of my home and property. Have been customers for 40 years. Very happy with with James our service provider. He listens is respectful, very thorough and a very nice & friendly man. Thank you to him. We are so happy with Truly Nolan and our service. We have Gabe and he’s fantastic. I have been with Truly Nolan since I purchased my home in 2001. i have always been very happy with your service and your people from office staff to home workers. I am especially pleased with Tony. He is always very caring that he is doing the best job. We are very satisfied with our pest control service. Our tech listens attentively to any current issues and provides special attention to those as well as giving the property its general treatment. 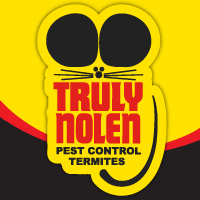 I highly recommend Truly Nolen for both Pest and Termite Control. I haven't seen a bug since!